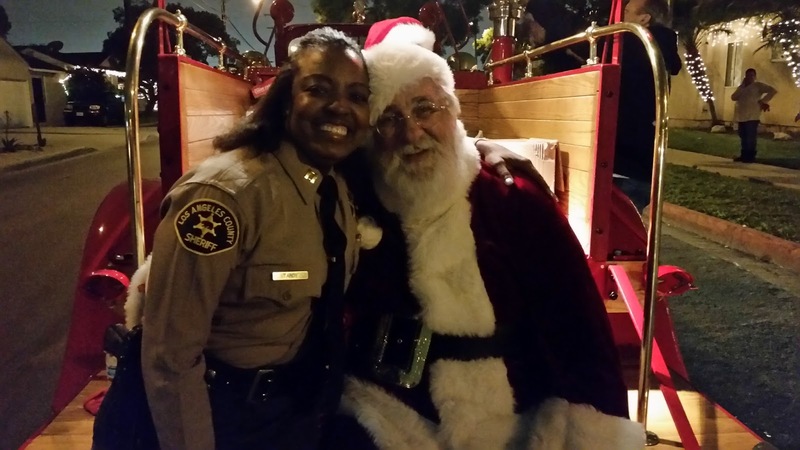 It is finally time!! 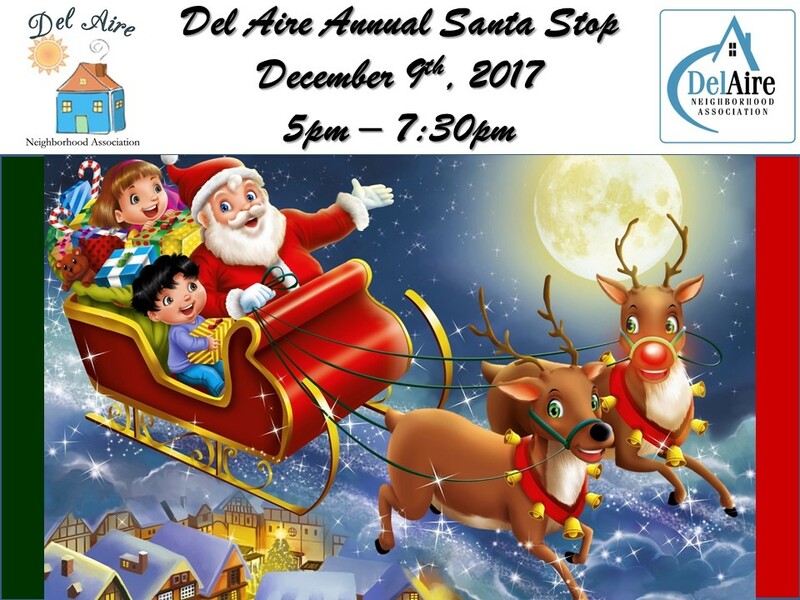 The holiday season is here and we will celebrate it in our own Del Aire way by inviting Santa to our neighborhood! 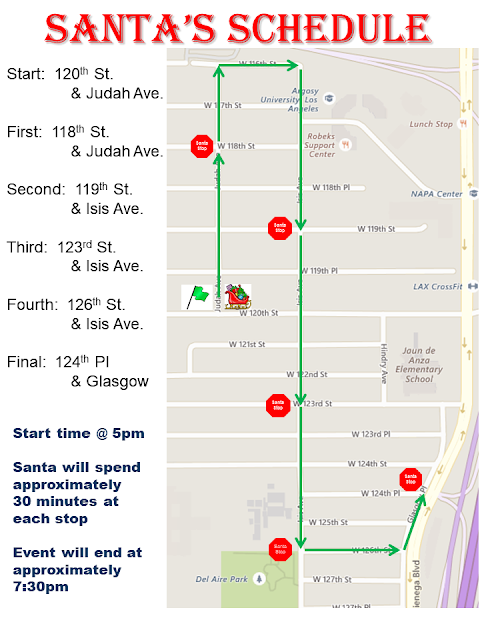 Santa will arrive on Saturday, December 9th @ 5pm and will make his way around our neighborhood. Please see the banner and schedule for details. We know for sure that we have some new young neighbors in Del Aire and this will be their FIRST time seeing Santa!